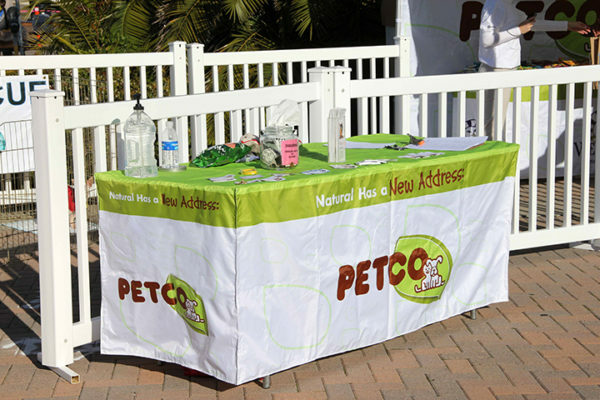 Our outdoor table covers are printed on 600-denier coated poly fabric — the same material we use for our canopy tops. The are lightweight and dry quickly. While not technically waterproof, they are decidedly water resistant. 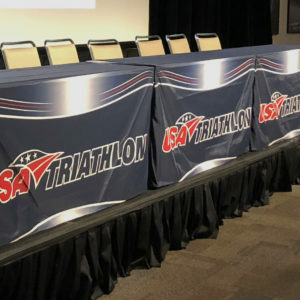 As you might imagine, they are a perfect compliment to a 10 x 10 canopy, since you can expect the best color match between footprint elements made out of the same material. 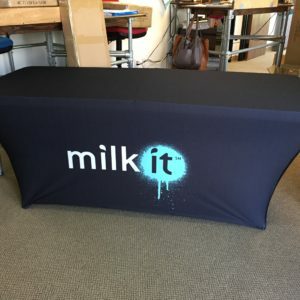 Outdoor table covers are available only as fitted.